The careers of unsigned artists are being caught in the crossfire of an increasingly aggressive copyright assault on Facebook by music publishers. Performers began to publicly complain about covers of popular tracks being pulled down from Facebook in October, following a spate of copyright infringement notifications from music rights-holders. Things have gone from bad to worse for them since then. The most vigorous publisher in terms of takedown demands, MBW is told, is Universal Music Publishing Group. The company’s anti-piracy boss David Benjamin has sent a legion of individual copyright notices to Facebook this year – for which he was recently called a ‘hero’ by songwriter and musicians’ rights activist David Lowery. But not everyone is quite as impressed – particularly those emerging artists for whom the fallout is causing major headaches. 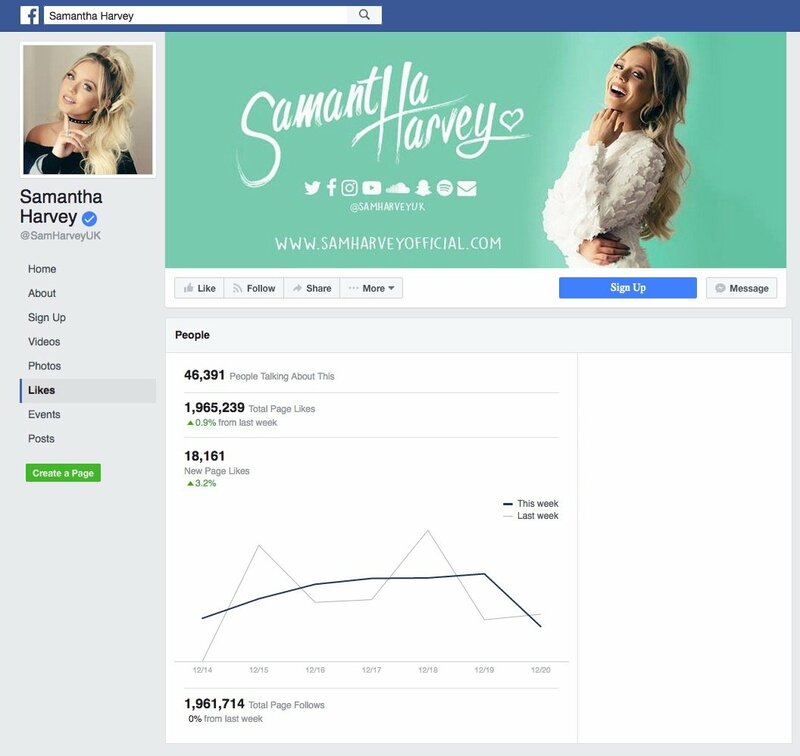 Samantha Harvey is a British singer/songwriter who has attracted 1.97 million ‘Likes’ on her official Facebook page. By any measure, that’s a pretty extraordinary following for an artist without a label. According to her management company at 84 World, Harvey is the most ‘Liked’ unsigned artist in the UK – a claim that seems to hold up to scrutiny. Consider that Stormzy, one of the most celebrated independent artists in Britain today, has less than a third of this number at 523,730. Further context: Rag ‘N’ Bone Man, the Columbia-signed BRITs Critics’ Choice winner, has 91,369 ‘Likes’ on his growing UK Facebook page, while the artist behind the current UK No.1 single, Clean Bandit, has 805,578. 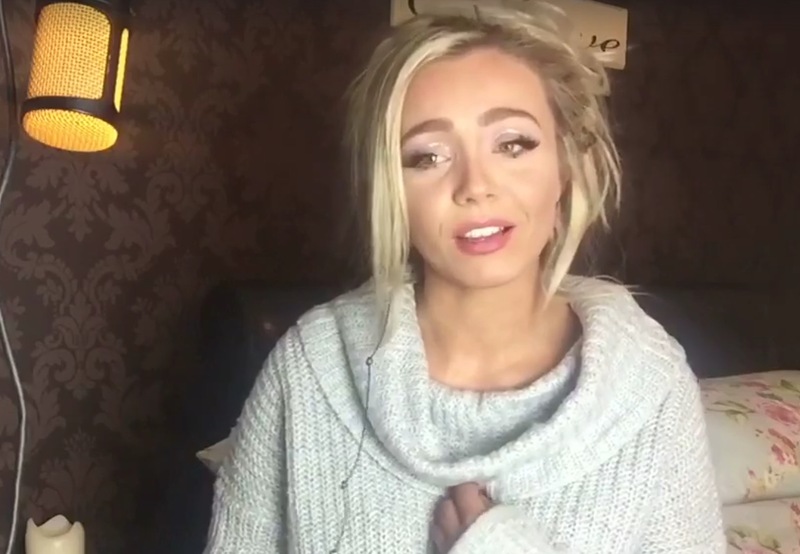 Harvey has gained popularity on Facebook via a series of cover versions, in addition to Live chats with her fans and duets with fellow acts such as Conor Maynard. But in recent months, Harvey’s found herself under siege. In a video update to fans originally posted on December 10, Harvey explained that Facebook had started removing her cover performances on copyright grounds. This, she said, was “on the instruction of publishing companies”. The simple reason for that instruction: Facebook continues to fail to pay any advertising revenues to rights-owners of music consumed on its platform. Harvey’s initial response to this heat was to begin posting 30-second video performances of songs, but she says publishers soon started cracking down on these videos too. At one point, Harvey was even temporarily blocked from accessing her page by Facebook – and warned that continued uploading of covers would see it deleted. Harvey’s co-manager at 84 World is London-based Max Parker. He tells MBW that 45% of Harvey’s cover videos have now been removed from Facebook as a result of publisher notifications. The exec expresses frustration that his artist is no longer able to use covers to build her profile on the site – a strategy her team hoped would put her in an ideal position to release original material in the future. “For us now, and I’m sure many others, it is vital that the music publishers and Facebook strike a deal as soon as possible,” says Parker, pointing out that Harvey’s average cover video on Facebook attracted more than a million views. Samantha Harvey’s response to this cull has perhaps been even more interesting than the cull itself. Since the takedown notifications began to pour in, the artist has been busy encouraging her Facebook fans to migrate to YouTube – where her official channel now has more than 275,000 subscribers and nearly 25m views. To boost this effort, she’s been posting YouTube links in the comment section of her (non-musical) Facebook updates, and it appears to be working. Harvey recently thanked her fans for making the jump to YouTube where, she says, “my subscribers are going crazy”. Earlier this month, she traveled to Berlin for a three day songwriting camp at Soho House jointly backed by BMG and… YouTube. The question for the music business, then: whilst it’s fully understandable why music publishers would want to batter Facebook into paying fair licensing fees, are their actions harming the progress of tomorrow’s potential stars? More to the point, are the same publishers comfortable if these stars are instead forced to start building audiences on YouTube? Facebook appears to be tooling up for negotiations: in recent months, Mark Zuckerberg’s company has been hiring for both a music-related product manager and a global head of music licensing.